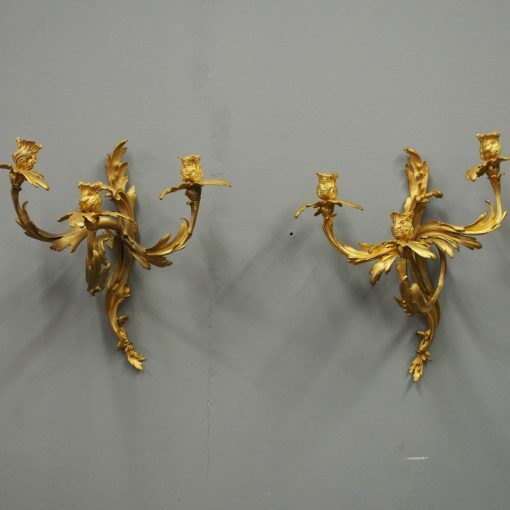 Circa 1870, pair of Louis XV style cast brass and gilded wall sconces. The sconces have 2 scrolling arms, with foliate casting to the top and bottom. The back plate has a cluster of leaves, and the candle holders have a design of folded flowers.